It started off as an idea for an album, now 14 years later rocker Steve Grant and Emmerdale’s Deena Payne have formed a troupe of rock musicians, opera singers and classical dancers to bring Barockestra to life – think Mozart playing an electric guitar … in leather trousers. 5 ways to describe Barockestra? 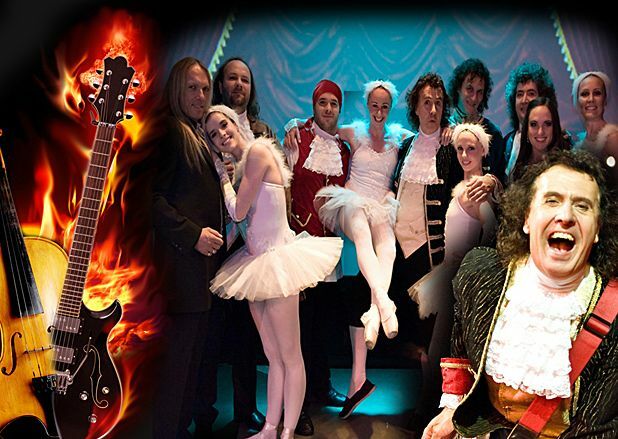 Top class entertainment; classical meets rock; a musical and visual extravaganza; an eclectic mix of raunchy rock; guitar playing at its very best. 4 good things about playing at the Festival? The atmosphere. It’s the best launch pad we could have hoped for. We get the opportunity to play to a lot of people over four weeks and we get to perform in beautiful venues like the Freemasons Hall. 3 reasons to go see Barockestra? It’ll take you on a spellbinding journey through the classics. It’s uplifting and enlightening and you can’t help but enjoy it. 2 big challenges to putting the show together? Trying to finance the show, as well as trying to manage 14 performers and crew members’ schedules for a month. 1 word that describes who you feel when you perform Barockestra? New Town Theatre, 220 0143, until 29 Aug, 10.10pm, £11–£12 (£9–£10). Barockestra gives you dynamic rock interpretations of familiar classical hits from the past masters - Mozart, Bach, Beethoven and friends. A show-stopping live act combining five great rock musicians, a great, robust, male virtuoso and a stunning female opera soprano, complete with four beautiful ballet dancers.